Tune in TONIGHT at 11pm to listen to a live in studio interview with the guitar player Benjamin Lapidus. He has just released his new album, "Ochosi Blues" and will talk about it and his career. 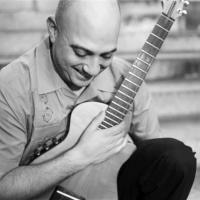 He has recorded with Ibrahim Ferrer, Paquito D’Rivera, Cándido Camero, Larry Harlow, Ruben Blades, Típica 73, Bobby Sanabria, and many others.